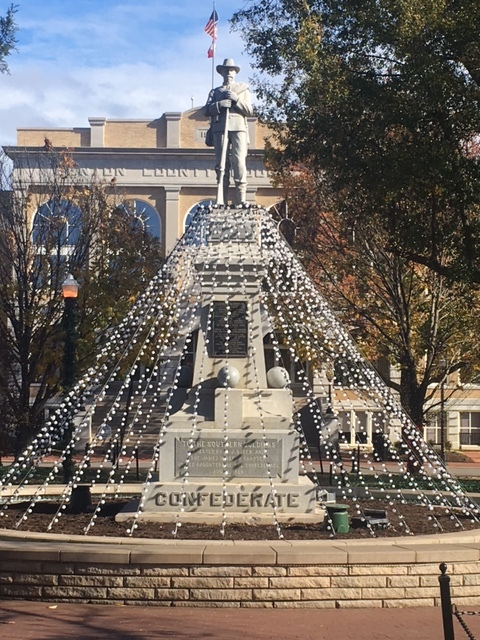 Trip Log – Day 368 – Bentonville AR to Rogers AR | How Will We Live Tomorrow? 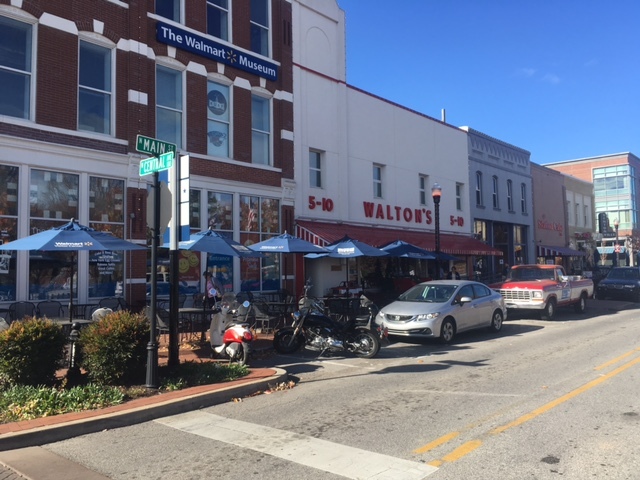 Bentonville Arkansas is the 21st century company town, home of Wal-Mart, the world’s largest corporation. The numbers are staggering. More than 2.4 million ‘associates’ work at Wal-Mart: only China’s red army surpasses its workforce. The company has over 11,000 locations worldwide. Over 100 million Americans shop at 4600 Wal-Mart stores in our country, choosing from more than a million items for sale. If Wal-Mart were a nation, it’s GDP would rank 28th in the world. All of that is run out of a town that, twenty years ago, had less than 10,000 people. No more. Now, Bentonville has 40,000 people, suburban sprawl and traffic. Neighboring Rogers is even larger. Northwest Arkansas is now referred to as a single region, the megalopolis of the Ozarks. Three themes stream through my mind on my day in Bentonville, touring the Wal-Mart Museum, eating an undistinguished but low-priced lunch at a Wal-Mart Neighborhood Market, reading Sam Walton’s Entrepreneur’s Creed – straight out of Ayn Rand – in the food aisles, and meeting Wal-Mart people everywhere I go. First, Bentonville mirrors perfectly the explosive growth of the last fifty years. Development crawls over the Arkansas hills without regard to terrain or ecology. Second, the downtown core is beautifully preserved and lively. A few people commented on the irony that the company that destroyed so many downtowns has such a nice one. I don’t buy that. Sure the Walton’s have enough money to create whatever downtown they like. But they didn’t ruin the rest of them. We did. When we chose to shop at Wal-Mart. 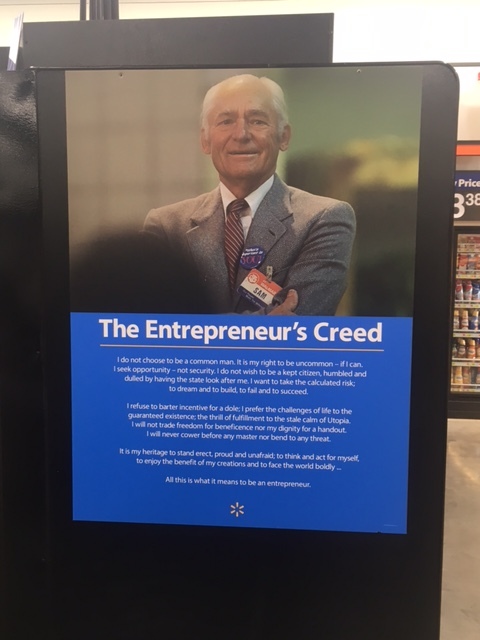 Sam Walton was a savvy guy in the right place at the right time. 1950’s America was keen to climb in its automobiles and leave its heritage behind. Every corporate and governmental program fueled the idea: Interstate highways, zoning, vertical integration, cheap gas. Sam did not create the economy-driven society. ; he merely facilitated a nation quick to shed history, culture, and community in the quest for Every Day Low Prices. Third, and most disconcerting to the architect in me, is how Wal-Mart’s low-cost mantra manifests the environment the company creates. Downtown is quaint, but the Wal-Mart ‘campus’ is a series of monochrome commercial strip buildings in a sea of parking partitioned into windowless offices and rudimentary workspaces. The message of Every Day Low Cost extends to the workplace. But we know these low cost workplaces, just like their low cost merchandise, have collateral costs that are not reckoned until tomorrow. It is not healthy for people to spend 25 to 30 percent of their lives, and most of their daylight hours, in an artificially controlled environment. I appreciate that Wal-Mart does not have a grand corporate headquarters and I understand the message of prudence their facilities convey. People here highlight Wal-Mart’s increased focus on sustainability, healthier products, and mandating a $10 minimum hourly wage as demonstration of the company’s corporate responsibility. Where Wal-Mart goes, the rest of America follows. I hope they will extend that to providing healthier work places. I am sure their Bentonville employees would appreciate it, and because Wal-Mart establishes the defacto standard of corporate behavior throughout the world, it would lead to healthier work places for others as well. 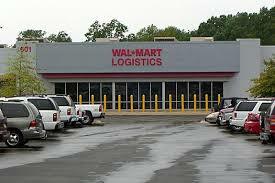 This entry was posted in Bicycle Trip Log and tagged Bentonville AR, Sam Walton, Wal-Mart. Bookmark the permalink.